I can't believe we are already in July. 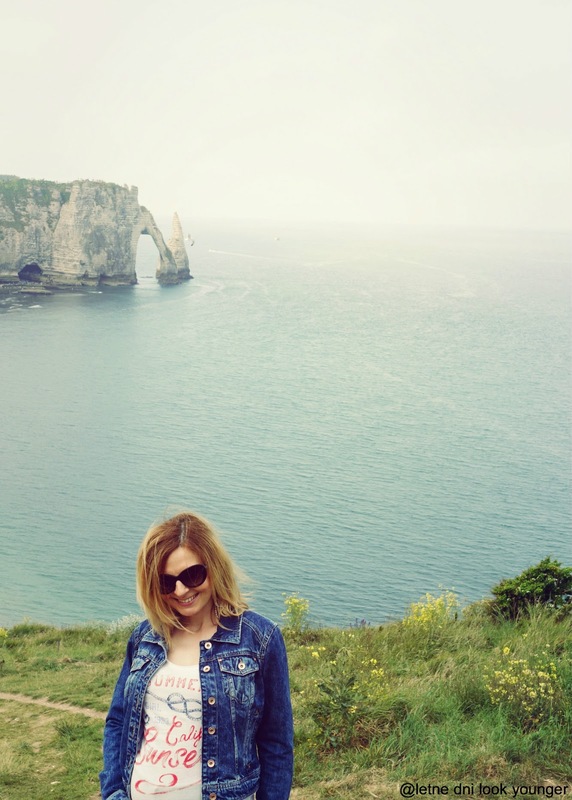 It feels like last week I was in Etretat and it was actually more than a month ago. Situated on the Normandy coast, Etretat is famous for it's scenery around the town, in particular its white cliffs. It was a great weekend, just a bit windy, but sunny and pleasant. I was happy wearing my lovely light blue maternity maxi skirt from Seraphine. I have to admit I'm loving maternity clothes. My favorite are dresses and skirts. I like feeling trendy and don't see why being pregnant should stop that. Seraphine offers comfortable and chic options for pregnancy. Everything I picked out fits just right, plus their clothes really are so comfortable and soft. Such a spectacular view, looks like a beautiful place to visit. 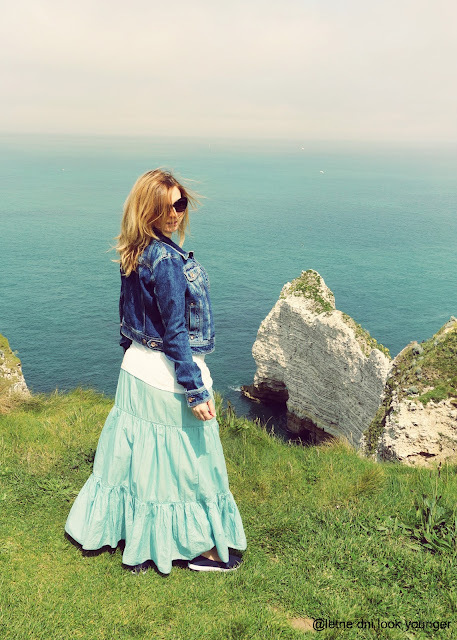 Love your maxi skirt and the pairing with the denim jacket. Lovely blog here btw! Would you like to follow each other on GFC? Please let me know on my blog so I can follow back. Thank you. 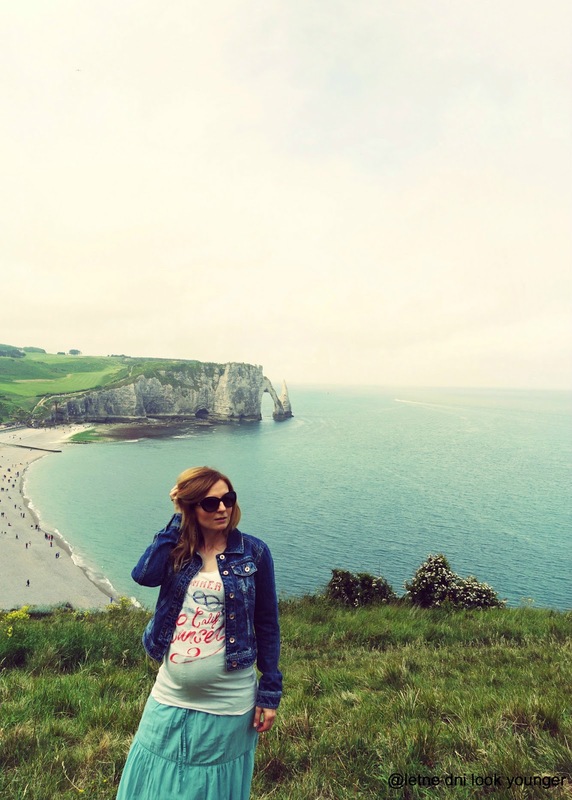 Dusana, this is so fantastic that you keep on blogging while your pregnent! I could made it :( was so tired..
you look amazing! the skirt is perfect on you! Hi Rosita, thank you so much. I was also very tired for the first 5 months, but now it's much better :-) so I went back to blogging. Have a great day! Hi my lovely Dusana. You look fantastic. Time gone by quick. I can't wait to see your baby , how is everything else. If you please let me know before due date is right on. I'll send u an email to send a gift to the baby. So you do t have to right me an address here. Hello my lovely Tanya, thank you. It's so nice to hear from you, I'll get back to you soon. Hi Tijana, thank you for stopping by. Hugs! Those cliffs are breath-taking...they look like a place from some dream...thank you so much for sharing. Omg! I love your dress! You look so gorgeous! Good luck for everythings!